Such a super fast and satisfying meal. I made this as a dinner but we realized what an amazing salsa/dip this would make! So yummy with tortilla chips! When I make this again, I will forget about adding the tortillas in since we could just eat this with the chips anyway. after Daiya, ready to eat! 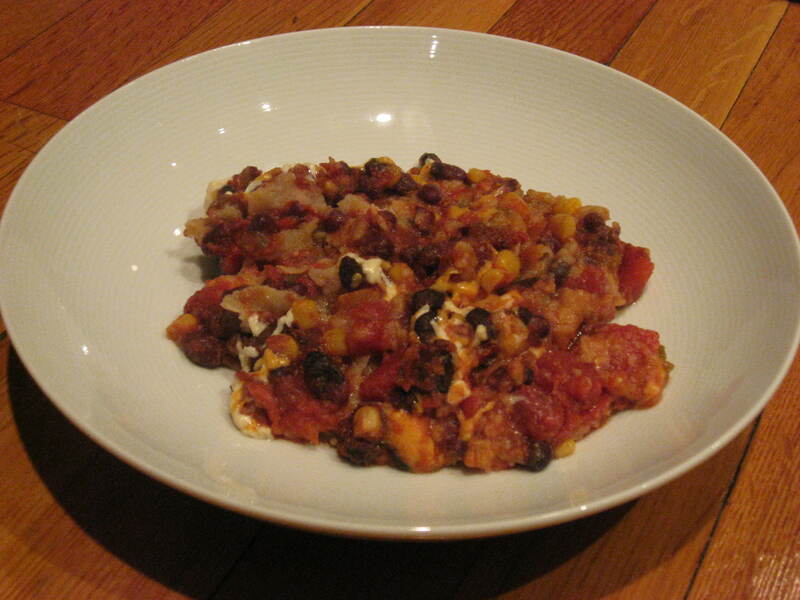 In a large bowl, combine the tomatoes, salsa, tomato paste, beans, corn, green chiles, cumin, and garlic powder. Mix well. 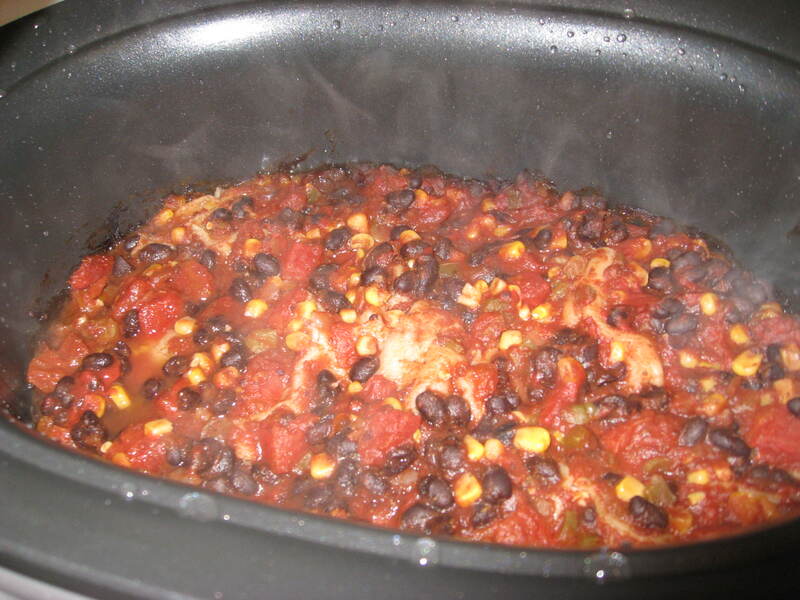 Spread about 1 cup of this mixture into the slow cooker liner; spread evenly. Top with 2-3 tortillas, cutting to fit as necessary. Spread on 1/3 of the remaining tomato mixture. Repeat these layers 2 more times, ending with the rest of the tomato mixture; spread evenly over the top. Cover and cook on the low heat setting about 5 hours. 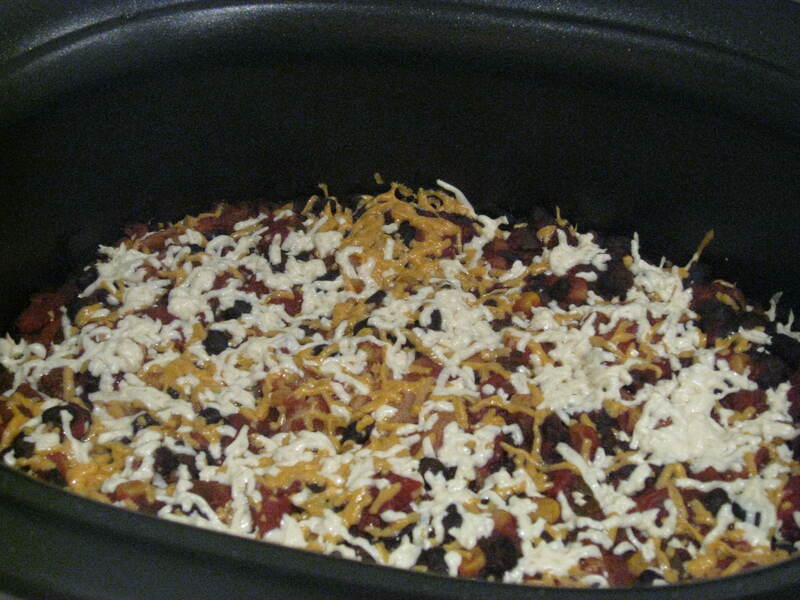 Add vegan cheese on top and continue cooking for another 10 minutes, till melted. Serve hot. So, is it a main dish or a dip or both? Basically, do you serve it with rice, taco or anything else? But overall, that looks pretty cool. Check them out and find your favorite ones. Enjoy! Thanks Anthony! It can be both 🙂 There are tortillas in the recipe, but next time I am going to leave them out so I can enjoy this with chips instead. (minimize the carbs, right:)) But I am sure you can serve this on top of rice or def in tacos!! Yum!! Maybe even add some vegan sour cream! Divine! !